Taking part in the Ring of Fire includes taking on risks. With preparation and care these risks can be minimised so that you have a fun and safe event experience. HAZARD: Trips and falls on rough terrain causing injury. COMMENT: There are some technical sections of the course including the Cascade waterfall climb, the Wahianoa Gorge, dropping off the Tukino Road into the valley. Much of leg one and two have a very uneven running surface. MANAGEMENT: Take care with where you place your feet and the pace at which you run. If it is technical, slow down to pick your path. HAZARD: Hypothermia from the cold. COMMENT: Symptoms include shivering, cold fingers and toes and skin colour change. MANAGEMENT: You need to take enough gear to star warm while running or walking and enough gear to keep you warm if you stop and can not continue. Take all of the compulsory gear and put it on BEFORE you are cold or wet or both!!! COMMENT: The event uses short sections of public road. Although we do have a Traffic Management Plan in place, none of the roads are closed. Please note: there are NO competitor or supporter vehicles allowed up the Tukino Access Road from the entry point of the Desert Road. MANAGEMENT: Treat all roads as public road. Take care, run on the shoulder, heads up and watch out for traffic. Event transport on the Tukino Access Road MUST be used by all competitors who present their race bib to get on bus and supporters must purchase a $10 return bus ticket through the shop or at registration. Supporters must also take care when driving on the roads. The following rules apply to this event and will be strictly enforced. I have read and understand the information regarding this event and understand that I participate in this event at my own risk. I acknowledge and accept that trail running carries an inherent risk of injury, illness and in extreme cases, death. I hereby attest and verify that I am physically fit and have trained sufficiently for this event. I will be drug and alcohol free for this event. I acknowledge that although the Ring of Fire has medical personnel and resources at various points along the course, the inaccessibility of much of the trail will make it difficult or impossible for medical assistance to reach me immediately and extractions may take a period of time. I agree to allow event medical staff to treat me as they see fit. I hereby allow the use of my name and image to be used in the media and for marketing purposes. I will stay on the marked course at all times, unless instructed by event staff. I will obey all course marking. I will wear or take the compulsory safety equipment required by the event – refer separate list – compulsory equipment for participants. My support crew and I will obey the instructions given by event staff. I accept that I may be pulled from the course at any time with the discretion of event staff, primarily for, but not limited to, safety reasons. I will complete the entire course under my own power. I will not light any fires. I will be respectful of other National Park users such as recreational walkers. Smoking is not permitted at any of the checkpoints or along the trail by participants, staff, spectators or supporters. I will use the toilets on the course, or if this is not possible, then I will toilet into a bag and take this waste to the nearest portaloo / waste bin. Any participant who is unable to finish the event must inform the nearest event staff of their decision to withdraw and make sure their race number is recorded, or text the Event Safety phone numbers (see race number for phone numbers). Participants who leave the course/event without informing staff of their race number will be classified as “missing”. The participant will be contacted on their mobile phone and their emergency contact will be called. If there is no response from either party or the emergency contact does not know the status of the runner, a search will be activated. Any search related costs will be charged to the participant. Anti-Doping Policy and Statement: Race management reserves the right to drug test any participant competing in this event – from the time of registration to after the completion of the event. Agreement to submit to drug testing is a condition of entry. Do not take any form of NSAID drugs such as Ibuprofen as part of this event. Violations of any rules may be grounds for disqualification from the Ring of Fire for one or more years, or other sanctions such as time penalties, fines, and/or disqualification from awards. In the case of a very serious breach of these rules, then the participant may be banned from all events run by The Event Collective, Victory Events or Element Events. Head Lamp Headlamp – fully charged. Plus a second back up torch (can be headlamp or handheld torch) that is not your mobile phone. Should be bright enough so you can navigate in fog and rain at night. on race day at the various start lines. (If the entrant does not have the correct safety gear, then they will not be permitted to start the race). at random checkpoints around the course. Note that is may be sensible to carry more layers of clothing than the compulsory list, so a backpack capable of carrying all of your equipment will be essential. We recommend using a sealed ziplock bag to make sure your stuff stays dry inside your pack. We recommend considering using hiking poles. Black Diamond make some excellent light weight and strong poles. 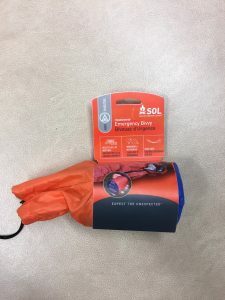 The reason the compulsory gear is required is because the event takes place in an Alpine environment which can be extremely harsh in terms of wind, rain or temperature. There is also very limited access to the course i.e access is by foot or helicopter. If you get injured (and are unable to move) it may take event staff one-two hours to reach you. If we cannot use a rescue helicopter to evacuate you (ie through poor visibility, night time) then you may be on the mountain for a long time, either being carried out on a stretcher or in one of the huts or a tent with a medic. We understand that many jackets do not state their mm rating, therefore we will not be checking for this at the event. However we will check for the jacket being seam sealed and having a hood. We could have a fire, lahar, eruption or landslide. In most cases your best response is to move away from the danger. Follow all instructions from staff who may hold you at certain huts or locations. 3. Stop the next runner going past you and ask for help. 4. Apply first aid to yourself. 5. Put on all of your clothing. 6. If you are in an exposed position, but can still walk, try to get out of the wind. Often you will only have to move 5-10 metres to be in a more sheltered spot, but make sure you are not so far off the track that staff can not find you. 7. Get into your survival bag. We have Field Medics plus other Marshals, many of whom have alpine tents and sleeping bags. These medics will get to you as soon as they can. Once the medic has assessed you, you will either be assisted out by the medics to a road end or a hut. A rescue helicopter MAY be able to extract you. But if the helicopter cannot fly/land, then there is also a chance that you may spend an extended period on the mountain. Remember that at this point – you will have a medic with you and will be in a sleeping bag and in a tent. What to do if you are lost. • Think, can you retrace your steps to the last known track marker? If yes then do so. • If you cannot retrace your steps then stay put.